Following two sell-out seasons at Regent’s Park Open Air Theatre – where it won the Olivier Award for Best Musical Revival, and Evening Standard Award for Best Musical – this production comes to the Barbican Theatre for just 60 performances from 4 July 2019. Casting for the production is yet to be announced. 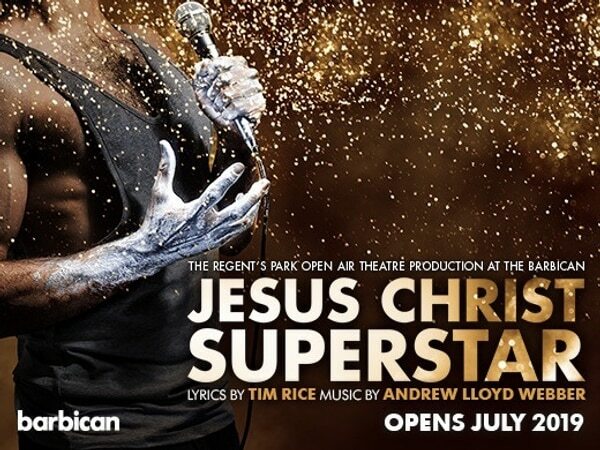 Jesus Christ Superstar has lyrics by Tim Rice and music by Andrew Lloyd Webber. The Barbican production is directed by Timothy Sheader, choreographed by Drew McOnie and musical direction by Tom Deering.